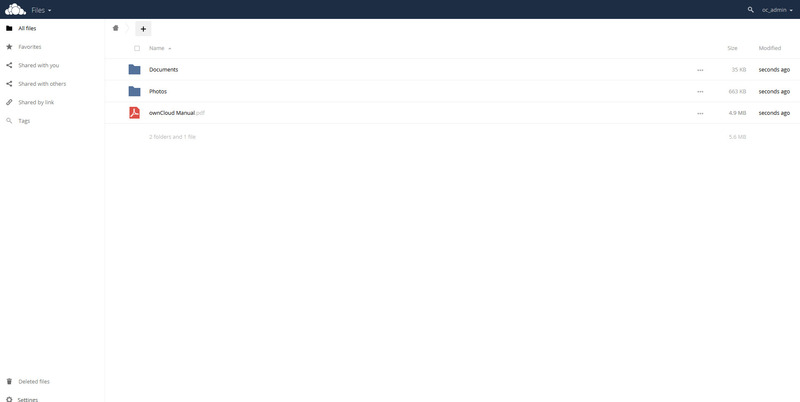 5OwnCloud is a Dropbox-like solution for self-hosted file sharing and syncing. Installing OwnCloud 10 on Ubuntu is trivial. Whether you want to backup, have file-syncing or just have a Google Calendar alternative, this guide is for you. 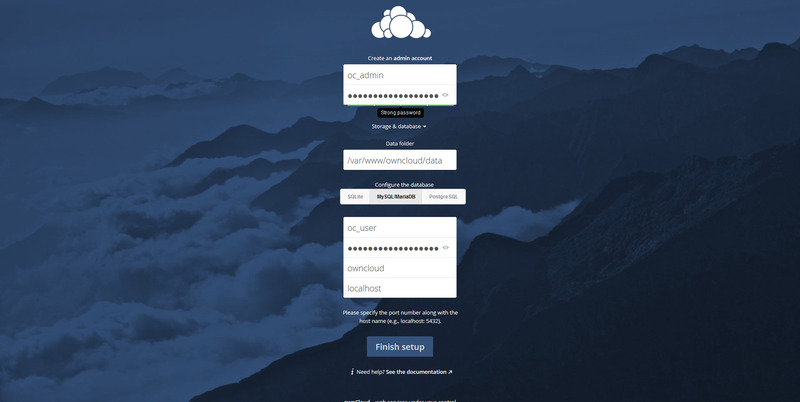 What is OwnCloud? Is it like a “cloud”? If you stumbled here by chance and don’t know what OwnCloud is, here is an article explaining its principal features and advantages/disadvantages. In this other article you can find OwnCloud 10 new features. To tell you the truth, OwnCloud is a SaaS cloud, if you want to know more about cloud types you can read this article. The first step is to add the repositories to your Ubuntu installation and install OwnCloud files. Although there are many packages available I suggest you to use the latest version of Ubuntu or an LTS version like Ubuntu 16.04 Xenial Xerus. You will need root access during this procedure. The following procedure will install apache as webserver. Input the commands one by one to avoid errors! # sh -c "echo 'deb https://download.owncloud.org/download/repositories/10.0/Ubuntu_16.04/ /' > /etc/apt/sources.list.d/owncloud.list"
# sh -c "echo 'deb https://download.owncloud.org/download/repositories/10.0/Ubuntu_16.10/ /' > /etc/apt/sources.list.d/owncloud.list"
# sh -c "echo 'deb https://download.owncloud.org/download/repositories/10.0/Ubuntu_17.04/ /' > /etc/apt/sources.list.d/owncloud.list"
# sh -c "echo 'deb https://download.owncloud.org/download/repositories/10.0/Ubuntu_VERSION/ /' > /etc/apt/sources.list.d/owncloud.list"
These commands will add the repositories that contain the software and install it on your machine. SQLite: is a single-file database. It is suggested only for small installations since it will slow OwnCloud down sensibly. Now, this choice won’t really alter the functionality of OwnCloud (except if you use SQLite), so pick whatever you know best. If you’re unsure pick MariaDB/MySQL. MariaDB won’t ask to set a root password (none by default), this is insecure, change it! In order to change it run the mysql_secure_installation script and follow the steps. During the installation you will be prompted to choose a root password, pick a strong one. In this step you will configure Apache, the web server. This step is essential when your firewall is enabled. If your firewall is enabled you won’t be able to access your OwnCloud 10 instance; on the other hand if it isn’t enabled you shouldn’t have any problems and you can simply skip this step. In order for the firewall to work, it must be enabled. This guide will not include this part. When you enable a firewall many things can go wrong, e.g. you’re using SSH, you enable the firewall and your connection is cut and can’t connect otherwise, hence you should carefully review the documentation from your distribution. Also, don’t forget opening ports can be a risk if your server is not configured properly. Linux: what is fstab and how do I use it?